Get ready for balmier days with these new spa services. The arrival of warmer weather means you&rsquo;ll likely be showing more skin. Prep your epidermis with this 60-minute scrub and body wrap, which exfoliates and rehydrates to improve its tone and texture. After an aesthetician (we recommend Nina Patino at the Upper East Side location) sloughs off dead cells using a house-made scrub packed with brown sugar, ginger and organic lime juice, she&rsquo;ll pour warm coconut milk over your body and wrap you in a heated blanket. You&rsquo;ll stay undercover for 30 minutes while your technician applies a cooling face mask. Following a rinse in the bathroom shower, your skin will feel so baby-soft, you won&rsquo;t need to apply lotion for days. Ginger Coconut Melt, $150 (normally $195), at Paul Labrecque Salon and Spa, 171 E 65th St between Lexington and Third Aves ● 66 E 55th St between Madison and Park Aves ● 160 Columbus Ave between 67th and 68th Sts ● 212-988-7816, paullabrecque.com. Mention TONY to receive this discount through May 31. 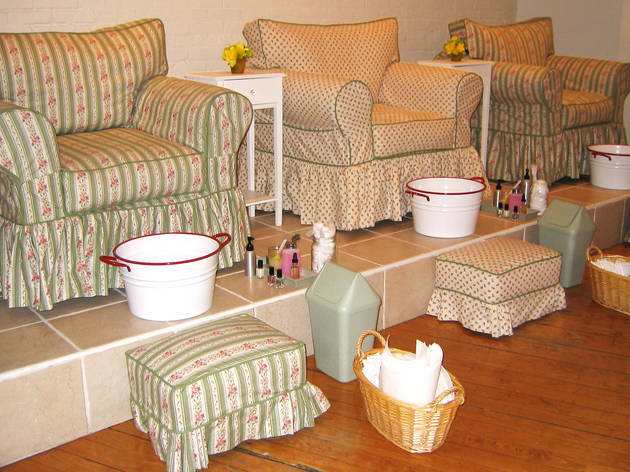 Indulge your tootsies by dipping them in a cocktail of sliced lemons, lemon juice and Voli lemon vodka at shabby-chic nail salon Sweet Lily. 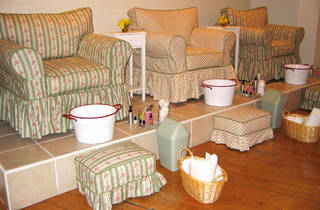 The homey spot uses oversize armchairs and copper basins in place of pedicure stations for a more sanitary experience. Sip gratis wine or tea while your heels are scrubbed with sugar using a lemon rind. The citrus juice acts as a natural exfoliant, while the vodka serves as an antiseptic to ensure superclean feet. The 60-minute service ends with a relaxing foot massage. Pick a punchy Zoya nontoxic polish and you&rsquo;ll be ready for sandal season. Lemon Vodka pedicure, $68, at Sweet Lily Natural Nail Spa &amp; Boutique, 222 West Broadway between Franklin and North Moore Sts (212-925-5441, sweetlilyspa.com). 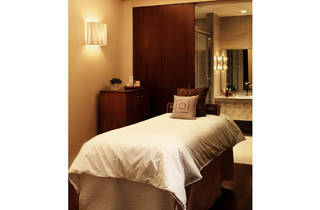 Rejuvenate your skin and restore your sanity with this relaxing 60-minute seasonal spa treatment. It&rsquo;s part of a new series of farm-to-table procedures at the Spa at Andaz Wall Street, featuring locally sourced ingredients from the Andaz hotel&rsquo;s on-site farmers&rsquo; market. 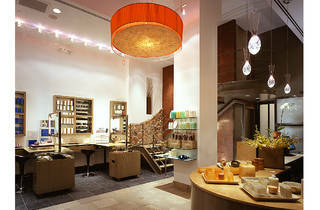 The service begins with a 30-minute back massage using French rosemary-almond oil. Next, you&rsquo;re wrapped in a hot blanket soaked in freshly brewed chamomile tea, which is said to release toxins from your body and tighten your epidermis. While cocooned, enjoy an invigorating head and neck massage using eucalyptus-peppermint essential oil. The whole ordeal will leave your skin feeling silky smooth and your mind at ease. 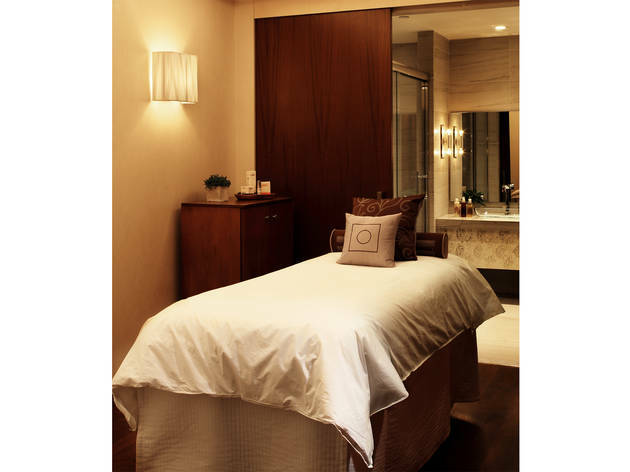 Chamomile Herbal Tea body wrap, $157 (usually $175), available through June 17 at the Spa at Andaz Wall Street, 75 Wall St at Water St (212-699-1830). Mention TONY to receive this discount through June 17.